For over six years, Ahmed Abdi Godane has led al-Shabaab with a macabre mix of unbridled brutality and striking charisma. 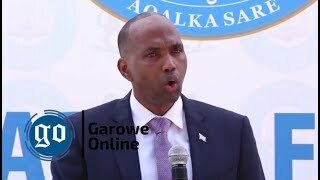 He fostered the spectacular growth of a militia recently splintered from the Islamic Courts Union (ICU) to an effective, if ruthless, administration controlling roughly half of Somalia and most of the capital, Mogadishu. 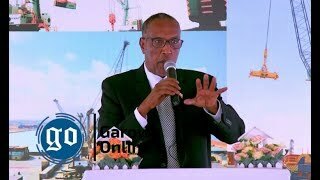 Paradoxically, however, he also contributed to its rapid decline in recent years by eliminating his rivals and dismantling the structure of the group that precipitated its grip on Somalia. If reports of Godane’s death are confirmed, Al-Shabaab will never again be as it was under his leadership. The U.S. airstrike on the night of 1 September was not the first attack targeting the reclusive leader. Still, reports of his death have been met with surprise in Somalia. With few verified sightings or photographs of him for many years, the camera-shy but media savvy Amir of al-Shabaab has been something of an enigma in Somalia, his existence only apparent to most via sporadic sermons released on the internet. If confirmed, his death will also, strangely, serve to verify his existence. Godane assumed control of al-Shabaab after a U.S. airstrike flattened the compound of his predecessor, Aden Hashi Ayrow, in Dhusamarreeb on 1 May 2008. 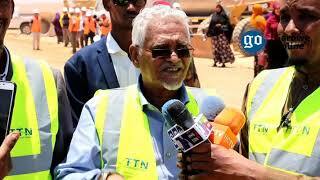 The group’s once powerful Shura Council nominated the 31-year-old Godane as leader a few days later. Previously third in command of the ICU during its heyday in late 2006, and having received extensive military training and experience in Afghanistan before that, Godane presented an obvious choice as Aryow’s successor despite his young age. Often reciting the battle rousing poetry of the anti-colonial leader Sayid Mohamed Abdulle Hassan, he secured considerable influence among the group’s followers with his exceptional oratory skills. 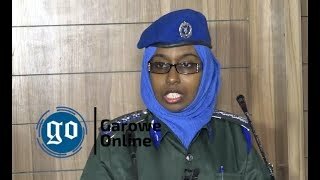 Over the next three years, Godane embarked on an aggressive campaign to extend the writ of al-Shabaab throughout southern and central Somalia. By early 2009, the group controlled more land in Somalia than any other entity in the country. Godane was determined to rebrand al-Shabaab from an amorphous militia engaged in local turf wars into a feared global jihadist movement, pledging allegiance to al-Qaeda, and sanctioning its first known attack outside of Somalia in Kampala during the 2010 World Cup final. Godane was celebrated as a rising star among the global jihadist community but internal critics feared the ascent of a ruthless dictator. In what was widely perceived as a contract under duress, Godane forced Hizbul-Islam, a rival entity led by Sheikh Hassan Dahir Aweys, to merge with al-Shabaab under his leadership. Soon after, he disbanded the Shura Council and empowered the Amniyat, the notorious intelligence wing of the organization, under his direct control. 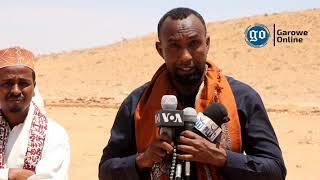 Responding to his clear intentions to consolidate control over al-Shabaab, Godane’s former friend and mentor, Ibrahim Haji Me’ad al-Afghani—together with Aweys, then serving as the group’s ‘spiritual leader’, and the American commander Omar Hammami—attempted to reassemble the Shura Council offering a degree of accommodation among the group’s wider leadership. In retaliation Godane had Al-Afghani and Hammami assassinated. 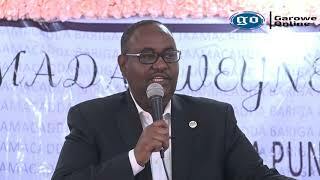 Aweys fled, eventually surrendering to the Himam and Heeb authorities in Adaado who transferred him to Mogadishu where he remains under house arrest. For the past year Godane has ruled unopposed. Al-Shabaab has ratcheted up its battle beyond Somalia’s borders with the attack on the Westgate shopping mall in Nairobi last September catapulting the group into the global spotlight. Attacks in Mogadishu have also intensified. As the group has been pushed out of towns and cities throughout southern and central Somalia, it has re-focused efforts on de-stabilizing the region. In the face of significant territorial losses al-Shabaab has had to evolve but until now there have been few signs of its demise. Without Godane as its leader, however, it is difficult to imagine al-Shabaab remaining a cohesive entity. He made no obvious attempts to groom a successor. Long-standing rumors of ideological differences within the group are likely to manifest further as remaining senior members vie for control. Indeed internal competition for control may now prompt the disintegration of al-Shabaab. What emerges in its wake, however, may offer little comfort to those welcoming the unconfirmed news of Godane’s death. The end of al-Shabaab would not necessarily spell the end of terror in Somalia or indeed the wider region. The glut of unemployed and disenfranchised youth in the region will continue to pose a grave threat to security. While moderate elements within the group may grow disillusioned with a leaderless movement and pursue a non-violent agenda in Somalia, the more radical elements could also mutate into something far nastier. Recent events in Iraq and Syria demonstrate the chilling potential of a new wave of jihadist groups bent on merciless extreme violence. Nonetheless, if Godane is indeed dead, regional leaders have what may be a rare opportunity to capitalize on the subsequent dearth of strong, capable, and charismatic jihadi leaders and win over moderate members of al-Shabaab and youths vulnerable to radicalization. The promise of amnesty to those that renounce violence, combined with clear demonstrable efforts to address the current hopeless situation experienced by so many of the region’s youth would ensure that the radical remnants of al-Shabaab are outnumbered and isolated by those willing to compromise.